Property law, with specific emphasis on town-planning law and property development matters; environmental law and administrative law. 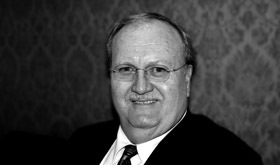 Practiced as an attorney in Johannesburg for 25 years in the areas of practice above. Since joining the Bar, have appeared before planning tribunals in a number of provinces (including appeal tribunals) in respect of planning and development matters. Have appeared in a number of High Court matters in respect of interdicts and the review of decisions relating to property development and environmental authorisations. Regularly consults with and advise developers on the preparation of township establishment, rezoning and ancillary applications.